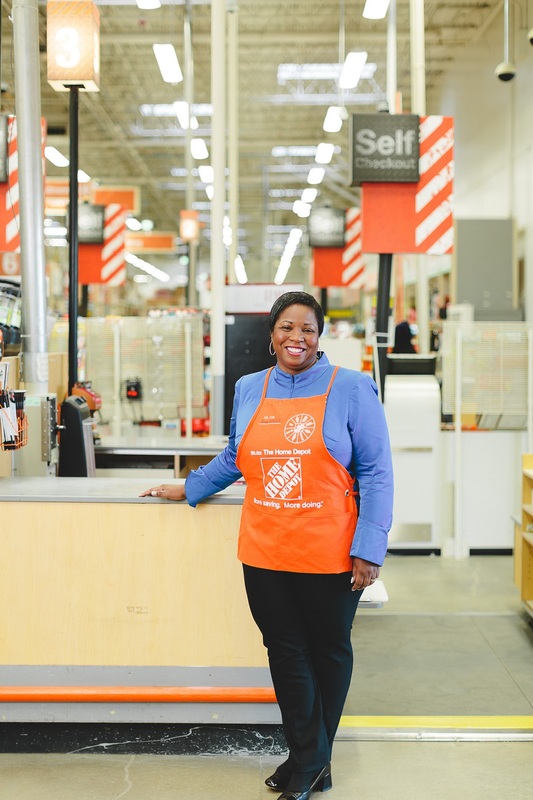 Ann-Marie Campbell began her career with The Home Depot in 1985 as a cashier in South Florida and today is executive vice president, U.S. Stores. In this role, she leads the company’s three U.S. operating divisions comprised of nearly 2,000 U.S. stores and the bulk of the company’s nearly 400,000 associates. Ann-Marie learned her first lessons in retail from her grandmother in Jamaica, who owned a small furniture store and had a reputation for friendly, top-notch customer service. And after more than 30 years with the company, Ann-Marie brings a deep understanding of The Home Depot’s operations, culture and customers. During her career at the company, she has served in a variety of positions, including store manager, district manager and regional vice president. She has also served as vice president of operations, vice president of merchandising and special orders, vice president of retail marketing and sales for Home Depot Direct, vice president of vendor services and, most recently, president of the Southern Division of The Home Depot. Ann-Marie shares her business expertise on a broad level by serving on the boards for Georgia State University’s Robinson College of Business, Barnes & Noble and Potbelly Corporation. Her impact is widely recognized with Fortune magazine listing her among its top 50 most powerful women in business for 4 consecutive years, most recently as #16 in the magazine’s 2018 rankings. In addition, DoSomething.org named Ann-Marie as one of its 2018 Inspirational 25, a group of leaders who are shattering expectations and challenging the status quo in the tireless pursuit of a better world. Living Home Depot’s values is a passion for Ann-Marie. She is an active Team Depot volunteer, working side by side with other associates as they give back to local communities. She is also a champion of The Homer Fund, an internal charity that financially supports associates facing unexpected personal tragedies. Ann-Marie is a graduate of Georgia State University, where she earned a bachelor’s degree in philosophy and a master’s degree in business administration. She is a member of Beta Gamma Sigma, an international business honor society, and the National Scholars Honor Society.